Birth Location – Brooklyn, New York, U.S.A.
Alphonse Capone was born in Brooklyn, New York, U.S.A. on 17 January, 1899 to poor immigrant parents. He was the fourth of nine children, his father Gabriele was a barber. He was one Americas most notorious gangster who attained fame during prohibition. Al Capone was a member of the Five Points Gang. He left school after the sixth grade and connected with the infamous street gang. He became a bouncer in organized crime owned brothels. In 1918, he married Mae Coughlin; the couple remained together until Capone’s death and had one child, Sonny. In 1925, when Johnny Torrio retired, Capone became the crime czar of Chicago. 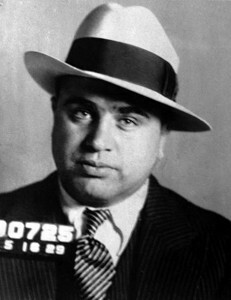 Alphonse Capone built a fearsome reputation while working for Torrio. St Valentine’s Day Massacre on 14 February, 1929 He ordered the assassination of seven rivals. On March 11, 1929, in response to a subpoena, Capone’s lawyers formally filed for a postponement of his appearance, before a federal grand jury OnMarch12, 1929. The attorneys submitted a physician’s affidavit dated March 5,1929, which attested that Capone had been suffering from bronchial pneumonia in Miami, had been confined to bed from January 13 to February 23, and that it would be dangerous to Capone’s health to travel to Chicago. His appearance date before the grand jury was re-set for March 20. On request of the U.S. Attorney’s Office, F.B.I. agents obtained statements to the effect that Capone had attended race tracks in the Miami area, that he had made a plane trip to Bimini and a cruise to Nassau, that he had been interviewed at the office of the Dade County Solicitor, and that he had appeared in good health on each of those occasions. 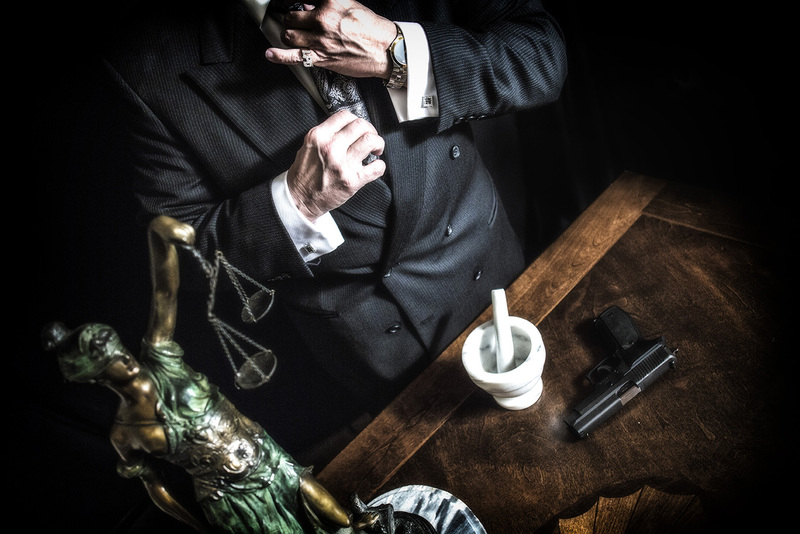 Capone appeared before the federal grand jury in Chicago on March 20, 1929 and completed his testimony on March 27. As he left the courtroom, he was arrested by agents for contempt of court, an offense for which the penalty could be one year in prison and a $1,000 fine. He posted $5,000 bond and was released. In April 1930, Capone was sentenced to prison on vagrancy charges while visiting Miami Beach, the Governor had ordered the Sheriff to run him out of Florida. Capone was never convicted of racketeering but was tried for income-tax evasion in 1931. After nine hours of deliberation on October 17, 1931, the jury found Capone guilty on several counts. Judge Wilkerson sentenced him to eleven years in federal prison $50,000 in fines $30,000 in court costs. In 1934, Al Capone was transferred from federal prison in Atlanta to the infamous Alcatraz in San Francisco. He was released from prison in 1939.He was suffering from advanced syphilis. After his release, he was out of the public spotlight. In January, 1947, Al Capone experienced a stroke, developed Pneumonia and died in Florida at his home on January 25, 1947.